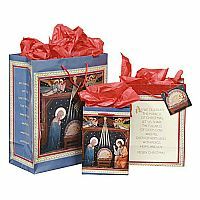 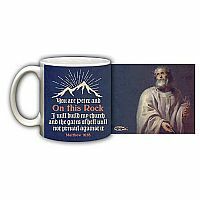 A perfect gift for men, this handcrafted ceramic mug depicts the Apostle Peter. Peter grew up as a fisherman on Lake Genesareth alongside his brother. 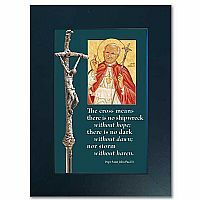 In his gospel, Luke recounted the story of Peter catching so large an amount of fish that he fell down before the feet of Jesus and was told by the Lord, "Do not be afraid; from now on you will be catching men." 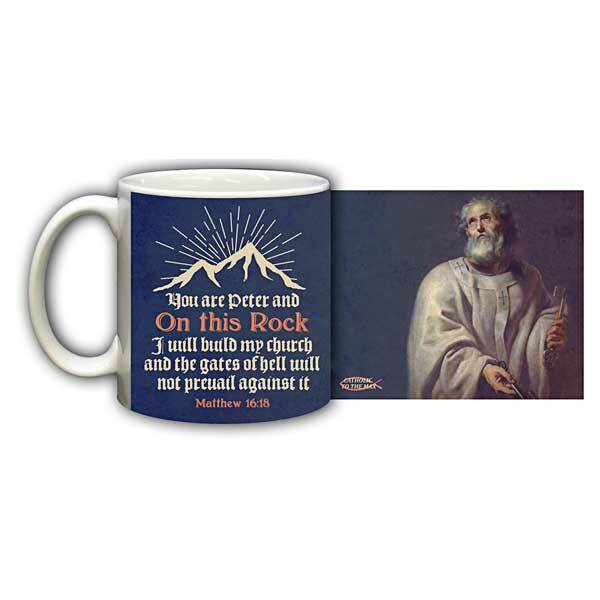 After becoming a disciple of Jesus, Christ gave Peter the name of Cephas, or rock, and said "...you are Peter and upon this rock I will build my church.."
The prayer on the mug reads "You are Peter and on this rock I will build my church and the gates of hell will not prevail against it. 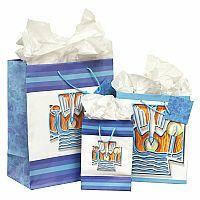 Matthew 16:18.